Hot water benefits us in more than one ways and it is especially popular among singers and other performers as it helps loosen vocal chords and relieve chest congestion before going on stage. Honey, on the other hand, has natural antibacterial properties that can help improve overall healthy and recover from infections. Have you ever wondered what will happen if we mix honey with hot water? Now let's find out the vital benefits that honey with hot water can bring us. Replace sugar as sweetener: Since honey is sweeter than sugar, you can use honey to sweeten your drinks and foods because honey is a healthier sweetener and contains amino acids, minerals and vitamins that help in the metabolism of cholesterol and fat hence preventing overweight. Drink at the right time: You could drink warm water with honey first thing you wake up in the morning and last thing before you go to bed. You can add some cinnamon and lemon to diversify the flavor. You could opt to take this cocktail several times during the day as it helps you keep energized, alkalized and hydrated. Recover from workout: Those pounds won’t melt away without some help from you. You need to come up with an exercise regimen and stick to it. Drinking honey with hot water will not only provide the energy you need to stay active but also help you recover after a workout session. Coughing is normally brought about by irritants in your throat and airway. The muscles in the diaphragm normally try to expel the irritation by contracting. While coughing helps clear mucus from the chest, it can cause discomfort if it gets out of hand. The antimicrobial and antioxidant properties of honey that can help relieve the cough. 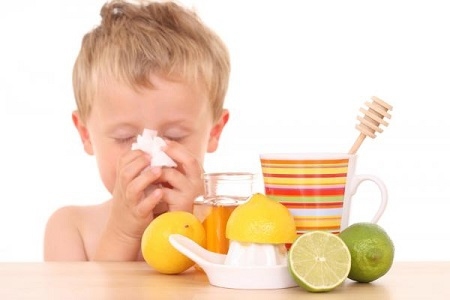 A concoction of lemon and honey with hot water can help loosen mucus causing the irritation and calm the throat. Drink the mixture throughout the day to get better result. If you are coughing up blood or green mucus accompanied by fever, you need to see a doctor. Poor digestion can be brought about by a number of factors. The most common is the lack of acidity in the stomach. Other causes of poor digestion are stomach infections, Crohn’s disease, and irritable bowel syndrome. Taking a combination of honey and lemon can help with all these conditions. Honey contains vitamins and minerals that help combat bacteria. Being a strong antioxidant, honey is also great for fighting free radicals in the body. A regular dose of honey will definitely give your immunity a boost. The antibacterial properties of honey along with the acidity of lemon help a great deal in combating bad breath. Taking this mixture helps cleanse your mouth and throat, It is best to take it first thing in the morning after you wake up. A mixture of lemon and honey has unique antibacterial, collagen boosting and restorative properties that are a boon for your skin because Lemon has cleansing properties that help purify the blood and aids in the production of blood cells that are potent cleaning agents. Dehydration can cause a lot of damage to your body. Staying hydrated ensures that your body remains energized and fresh the whole day. Add a dose of honey, and you have a proven energy booster to keep you alert throughout the day. Do you suffer from environmental allergies? Honey with hot water can help by keeping you hydrated and making you coexist with the irritants in your area. It won’t cure your allergies, but it will help ease your allergic symptoms, so do not stop taking medication. You probably don’t know this, but honey with hot water and lemon can help get rid of toxins in your body. The citric acid in the lemon helps enhance enzyme function, which stimulates the liver and helps with detoxification. Besides, lemon and honey in hot water helps increase the frequency of urination and keep the urinary tract healthy. A mixture of cinnamon and honey has been proven to lower the risk of heart disease by revitalizing veins and arteries in your body. This mixture also reduces cholesterol-level in the blood by about 10%. Mix 1 to 2 tablespoons of honey with 1/3 of cinnamon and some warm water and drink it on a daily basis. Have a sore throat? No worries. Honey with warm water can help reduce the irritation. Water helps soothe the throat while honey coats it. This mixture also helps if you’re feeling gassy after a heavy meal. It helps neutralize the gas in your stomach. Do not substitute more than 1 meal a day for honey and lemon. Denying your body nutrients might hamper your weight loss efforts and hurt your overall health. Honey with hot water and lemon is a healthy substitute for sugary drinks and diet sodas. Never add honey to boiling water. Doing so will change the molecular structure of honey and make it indigestible and toxic to some extent. Honey is great for soothing sore throats, but it is important to realize that honey draws moisture away from it. Therefore, if you have a dry cough or a dry inflamed throat, it is best to avoid honey with hot water. Server responsed at: 04/25/2019 2:39 p.m.